This article was originally posted on Forbes website. See the original post here. Without diagnostics, medicine is blind. And yet, diagnostics receive much less attention than vaccines and drugs. Imagine a sick infant with bacterial sepsis in sub-Saharan Africa. Without diagnostics, they will likely get incorrectly treated for malaria. Every year, 1 million patients with TB in India are either not diagnosed or not reported. Pregnant women with anemia, syphilis and diabetes are often missed in low-income countries where laboratory capacity is severely lacking. And where there is testing, it is often of low quality. Hepatitis and HIV diagnostic tool. Photo by Dr. Nitika Pai. Patients will get consistent access to quality essential diagnostics that will be affordable and always available. When a diagnostic is added to an EDL, governments, funders and manufacturers will work to ensure availability and access. The Ebola and Zika epidemics have underscored the need for surveillance. While many countries have reference laboratories, laboratory capacity at lower health system tiers is often weak. By increasing laboratory capacity at all tiers, an EDL could help countries better prepare for epidemics and implement international health regulations. Bulk and advanced purchasing, volume discounts and pooling mechanisms are widely used for vaccines and drugs. 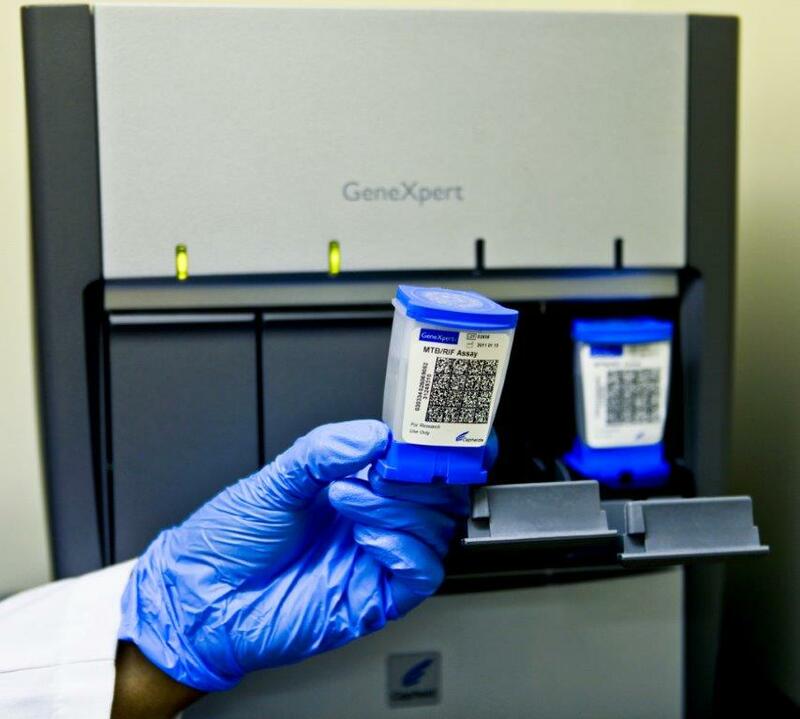 Without such mechanisms, quality diagnostics can be unaffordable. Xpert MTB/RIF is a good TB test, but affordability is limited. An EDL could promote group purchasing by international organizations (e.g., Global Fund). With larger, predictable volumes, manufacturers can lower prices. Countries can use EDL to impose price controls and waive import duties to ensure affordability. Indiscriminate antimicrobial use drives AMR. Without adequate diagnosis,antimicrobials get widely abused. In half of malaria-endemic African countries over 80% of malaria treatments are applied without diagnostic testing, leading to legitimate concern for the emergence of drug resistance. Unlike developed countries, regulatory agencies that approve the accuracy of diagnostic devices either do not exist or are weak in resource-poor settings. An EDL could focus such agencies on priority tests and help to harmonize regulation at the regional level. 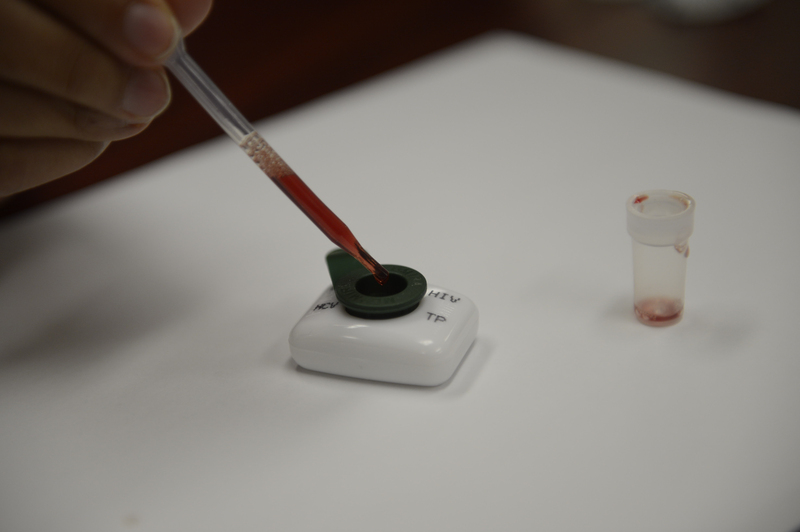 An EDL could aid in the identification of sub-standard diagnostics, as is already occurring formalaria rapid tests. Even if a diagnostic test is of high quality, its impact can be crippled by improper use. In Kampala, Uganda, 95% of all laboratories failed to get the lowest score on the WHO laboratory quality checklist. Country-level laboratory accreditation groups could use the EDL to establish targeted and appropriate quality assurance programs. An EDL could also help shape in-country training of laboratorians. As is too often the case in low-income settings, poor infrastructure and inconsistent supply chains render laboratory devices unusable. An EDL could encourage ministries of health to strengthen necessary infrastructures and develop targeted supply chains for the essential tests. Healthcare professionals trained in countries where laboratory testing is either unavailable or of low quality are likely to treat based on clinical suspicion. The impact of the Xpert MTB/RIF TB test has been blunted because of such issues. Likewise, in several settings, providers continue to give anti-malarial therapies, despite negative rapid test results. An EDL could improve providers’ confidence in test results and strengthen thediagnostic-treatment cascade. Several teams are now developing point-of-care diagnostics for global health. An EDL could help develop target product profiles that can inform new product development. In fact, such initiatives already exist for several key diagnostics. Policy makers need data on disease burden. An EDL could support national surveys and help track changes in disease burden and efficacy of interventions (e.g., diagnostics to support polio elimination). TB diagnostic tools. Photo by Dr. Madhukar Pai. In summary, essential medicines require essential diagnostics. The NEJM article has proposed an EDL to set the ball rolling. While many agencies could establish an EDL, WHO is the obvious choice, since they maintain the EML, make health policies, run prequalification programs and oversee international health regulations. So, we call upon WHO to take the lead in creating a List of Essential Diagnostics. We also call on key stakeholders (e.g., FIND, PATH, TDR, CHAI, ASLM, GHTC, Stop TB Partnership, Roll Back Malaria, UNAIDS), civil society (e.g., MSF, TAG, ACTION) and donors (e.g., Global Fund, Bill & Melinda Gates Foundation, UNITAID, USAID) to support WHO to make this happen. Dr. Lee Schroeder is assistant professor at the University of Michigan, where he is director of Point-of-Care Testing and associate director of Chemical Pathology. Dr. Timothy Amukele is an assistant professor at the Johns Hopkins University School of Medicine, where he is the director of the Bayview Medical Center Clinical Laboratories. 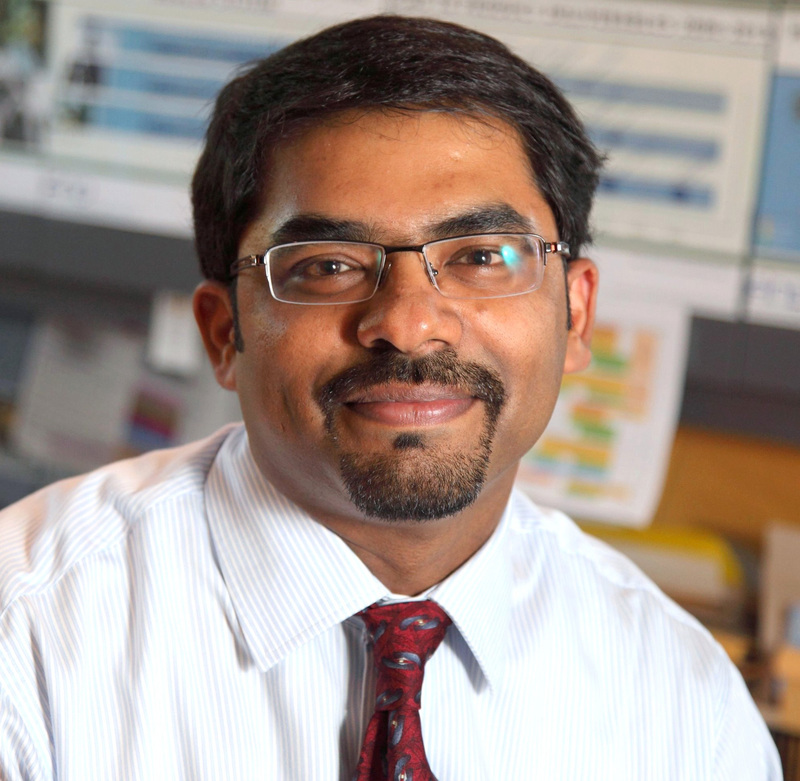 Dr. Madhukar Pai is a Canada Research Chair in Epidemiology & Global Health at McGill University, Montreal, Canada. He serves as the director of McGill Global Health Programs and associate director of the McGill International TB Centre. Published by globalhealth on August 5, 2016 at 11:20 am under In my opinion.... 0 comments. The United Nations cannot claim to address and prevent human rights violations while simultaneously failing to acknowledge the culture of impunity and alarming lack of accountability within the organization. Immunity should exist solely to ensure the security of UN peacekeepers during their missions. Instead, the UN uses absolute immunity as a bureaucratic tactic to avoid responsibility when their soldiers violate the human rights of the citizens they are mandated to protect. The UN continues to hide behind its shield of impunity despite its recent unequivocal violation of human rights in the case of the cholera outbreak in Haiti. 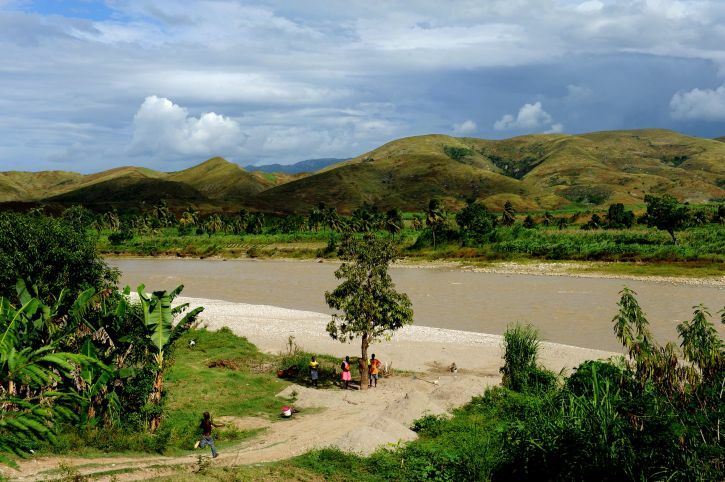 The Artibonite River: the suspected source of the cholera outbreak in Haiti. Source: Kendra Helmer, USAID. In October 2010, an outbreak of cholera appeared in Haiti for the first time in nearly a century (1). As of February 2016, there have been 770,000 reported cholera cases and 9,200 deaths (2). The first reported cases coincided directly with the arrival of peacekeepers from the United Nations Stabilization Mission in Haiti (MINUSTAH). The troops were deployed from an area of Nepal, a cholera endemic country, which had just experienced a major outbreak in the month prior to their departure (3). Evidence overwhelmingly confirmed that the source of the Haitian cholera outbreak was due to “contamination of the Méyè Tributary of the Artibonite River with a pathogenic strain of South Asian type Vibrio cholerae as a result of human activity” (4). The evidence not only confirms that the UN was responsible for bringing cholera into Haiti, but that it did so recklessly, allowing human waste from the peacekeeping base to be discharged into the tributary leading to Haiti’s principle water source (5). Despite the knowledge of the recent cholera outbreak in Nepal, the organization only tested symptomatic soldiers for cholera, even though 75% of cholera cases present as asymptomatic (6). The latest of three class-action lawsuits, seeking compensation and reparations on the behalf of the Haitian cholera victims, was filed against the UN in October 2013. Despite ample, convincing evidence pointing to the UN as the singular cause of this epidemic, the UN Secretary-General Ban Ki-moon, issued a statement saying “the claims are not receivable, pursuant to Section 29 of the Convention on the Privileges and Immunities of the United Nations”. The statement subsequently redirected the narrative to the UN’s commitment to eliminating cholera from the country and strengthening Haiti’s water and sanitation infrastructure (7). The UN leadership blatantly disregarded the rights of the cholera victims to pursue legal action and compensation for the hardship they suffered due to the UN’s gross negligence. The way the UN has handled cholera in Haiti has not only been a grave miscarriage of justice, but has challenged the very ethos of the organization itself. The UN and the Haitian government signed a Status of Forces Agreement (SOFA) granting broad immunity to MINUSTAH for crimes committed in the country (8). SOFA dictates the establishment of a Standing Claims Commission as the procedure for victims to seek redress from harms committed in the course of peacekeeping (9). The UN’s failure to create such a commission is a breech of its own agreement and has resulted in an egregious violation of Haitians’ human rights. In fact, despite the existence of 32 SOFAs, a standing claims commission has never once been established (10). 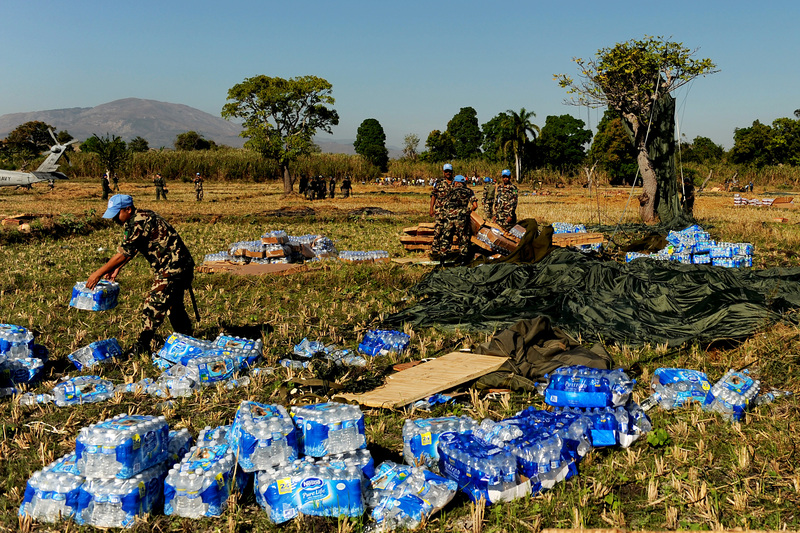 The United Nations Stabilization Mission in Haiti (MINUSTAH). Source: Tech. Sgt. James L. Harper, Jr, USAF. The true reason for the UN’s unwillingness to take responsibility for its actions in Haiti lies at the heart of the defense, U.S. attorney Ellen Blain argued on behalf of the UN. She argued that the court ruling in favour of the plaintiffs would “create and open up a huge set of claims to the United Nations. Private parties around the world would be able to sue the United Nations for violations of — perceived violations and breaches of the treaty” (11). Yet it is not liability for its actions that will compromise the UN’s ability to fulfill its mandate. Rather it is the UN’s immoral and inhumane denial of the devastation they caused to innocent people that is undermining the integrity of the international body. The cholera case is only one demonstration of the human rights violations for which the UN should be held accountable, including, but not limited to, many reported cases of systemic sexual exploitation and abuse committed by peacekeepers (12). In accordance with Article 6, Section 23 of Convention on the Privileges and Immunities of the United Nations, the Secretary General has not only the right but the duty, to waive immunity in cases where it would impede “the course of justice” (13). The way the UN has handled cholera in Haiti has not only been a grave miscarriage of justice, but has challenged the very ethos of the organization itself. The United Nations has undeniably proven that its bureaucratic self-protective instincts painfully outweigh those to protect and uphold the human rights of all. 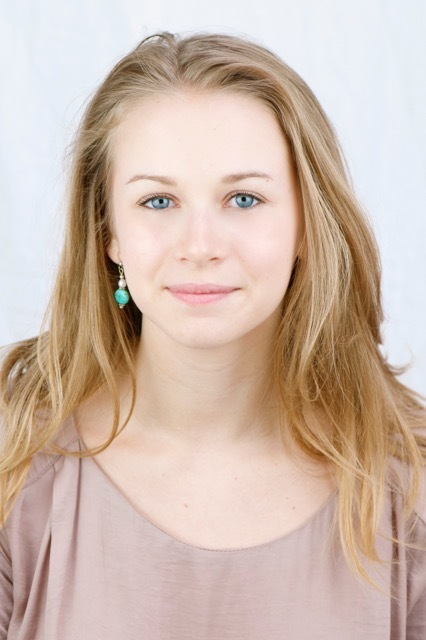 Madlen Nash is a U3 microbiology and immunology student at McGill University. Her global health interests are infectious disease prevention and diagnosis in high-burden, low-resource settings and health and social justice. Piarroux, Renaud. “Understanding the Cholera Epidemic, Haiti.” National Center for Biotechnology Information. U.S. National Library of Medicine. July 2011. Web. 15 Nov. 2014. http://www.ncbi.nlm.nih.gov/pubmed/21762567. (1) Daniele Lantagne, G. Balakrish Nair, Claudio F. Lanata and Alejandro Cravioto. May 2013. Abstract. (2) Ministère de la Santé et de la Population (MSPP). 2016. 1. (3) Yale Law School Transnational Development Clinic, et al. 2013. 18. (4) Daniele Lantagne, G. Balakrish Nair, Claudio F. Lanata and Alejandro Cravioto. 29-30. (5) Renaud Piarroux. July 2011. Abstract. (6) World Health Organization. February 2014. (7) Haiti Cholera Victims’ Compensation Claims ‘Not Receivable’ under Immunities and Privileges Convention, United Nations Tells Their Representatives. February 2013. (8) Security Council Establishes UN Stabilization Mission in Haiti for Initial Six-Month Period. April 2004. (9) Agreement Between the United Nations and the Government of Haiti Concerning the Status of the United Nations Operation in Haiti. July 2004. 261-262. (10) Yale Law School Transnational Development Clinic, et al. 2013. 27. (11) Oral Argument Cholera Case. October 2014. 52. (12) Carla Ferstman. September 2013. 1. (13) Convention of the Privileges and Immunities of the United Nations. February 1946. 28. Published by pbidulka on July 22, 2016 at 11:12 am under In my opinion.... 1 comment. Antimicrobial resistance (AMR) is a global health threat, and it is estimated that by 2050, 10 million lives a year and a cumulative 100 trillion USD of economic output are at risk due to the rise of drug-resistant infections, if we do not find solutions to tackle the rise of drug resistant pathogens. Since the introduction of antibiotics, microbes have evolved a variety of methods to resist antibiotics. We are now dealing with ‘superbugs’ that are virtually untreatable, including colistin-resistant E. coli, drug-resistant gonorrhea, carbapenem-resistant enterobacteriaceae, methicillin-resistant Staphylococcus aureus, extensively drug-resistant tuberculosis, and extended-spectrum-beta-lactamase producing strains. The antibiotic pipeline is running dry, and AMR is threatening to undo major gains made in the control of infectious diseases. AMR is driven by several factors, but major causes include over-use of antibiotics, poor adherence to standard treatment protocols, over-use of antibiotics in livestock, poor infection control in health facilities, poor sanitation, and challenges with new antibiotic R&D. According to the State of the World’s Antibiotics report (2015), antibiotic consumption is increasing globally, with 20-50% estimated to be inappropriate. Countries like India and China are rapidly becoming the most important consumers of antibiotics. Drug-resistant tuberculosis (DR-TB) is a prime example of the threat posed by AMR. The most common form drug-resistant TB is multi-drug resistant TB (MDR-TB), which refers to TB that is resistant to two key first-line antibiotics – isoniazid and rifampicin. Globally in 2014, WHO estimated 3.3% of new cases and 20% of previously treated cases to have MDR-TB. Drug resistance surveillance data show that an estimated 480 000 people developed MDR-TB in 2014 and 190 000 people died. Even children are impacted by DR-TB, with recent estimates suggesting that MDR-TB in children may be far more prevalent than previously understood. It is much smarter and cheaper to prevent DR-TB than treat it. Extensively drug-resistant (XDR-TB) strains are resistant to at least four of the core anti-TB drugs [i.e. isoniazid and rifampin, plus any fluoroquinolone and at least one of three injectable second-line drugs (i.e., amikacin, kanamycin, or capreomycin)], and XDR-TB has been reported by 105 countries in 2014. About 10% of people with MDR-TB have XDR-TB. Some studies have also reported totally drug-resistant strains of TB, resistant to all antibiotics tested. This scary form of TB takes us back to the pre-antibiotic era, where TB patients were managed in sanatoria, and mortality rates were extremely high. Why should we care about DR-TB? Drug-resistant TB requires extensive treatment (for 2 years or longer) with multiple, potentially toxic drugs and outcomes are poor. 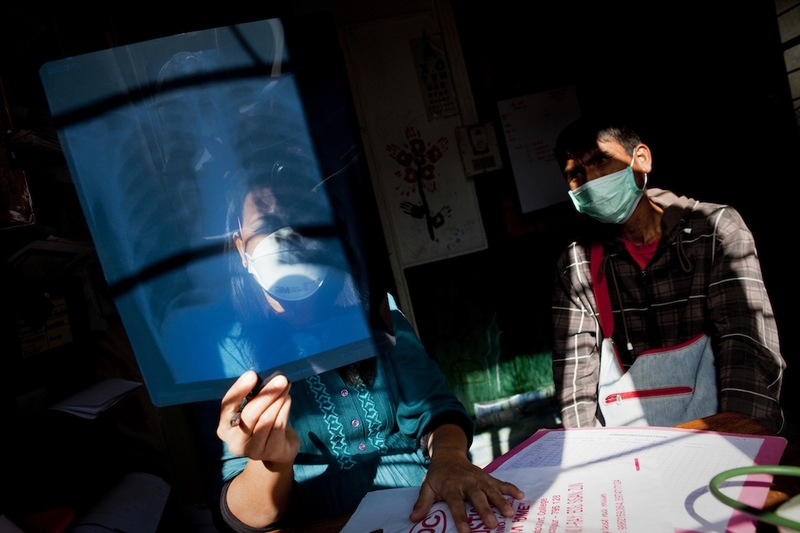 One in two patients with drug-resistant TB die because of it. Treatment of DR-TB is also very expensive because of the high cost of second-line TB drugs. Thus, it is much smarter and cheaper to prevent DR-TB than treat it. 5) increase political commitment with financing. Unfortunately, high TB burden countries are yet to seriously address these priority actions to tackle DR-TB. In many countries, not even half of all patients with DR-TB are on second-line drug therapy. Quality of TB care for even drug-susceptible TB remains suboptimal in many countries, especially in countries with large numbers of private health care providers. In such settings, doctors prescribe irrational drug regimens, and adherence monitoring is poor. TB is a low priority for many developing countries, and current TB budgets are insufficient to make progress in addressing DR-TB. Empirical antibiotic use is widespread in many countries with weak regulation, and healthcare providers tend to use antibiotics as diagnostic tools; this further increases the risk of AMR. Also, over-the-counter (OTC) antibiotic abuse is widespread in many high TB burden countries. OTC use of fluoroquinolones, a widely used antibiotic, can delay the diagnosis of TB, and also increase the risk of DR-TB. This is particularly relevant, since some of the emerging new TB drug regimens contain fluoroquinolones (i.e. Moxifloxacin). While highly accurate and rapid molecular tests such as Xpert MTB/RIF are now available to quickly detect TB as well as drug-resistance, most high-burden countries are still reliant on sputum smear microscopy, a technology that is not only insensitive but also incapable of detecting drug-resistance. This means patients are often managed with no information on drug-susceptibility test results. This approach of treating TB ‘blindly’ is no longer tenable in places such as Mumbai, where DR-TB is a widespread problem. A recent report called ‘Out of Step‘ by MSF and Stop TB Partnership surveyed 24 high TB burden countries, to see how already existing TB policies and interventions are being implemented. This survey found major gaps in how TB tools and policies are implemented. For example, only 8 countries included in the survey had revised their national policies to include Xpert MTB/RIF as the initial diagnostic test for all adults and children with presumptive TB, replacing smear microscopy. Six of 24 countries, including India, still recommended intermittent treatment for drug-sensitive TB (which is less effective than daily therapy). Even simple interventions such as fixed dose combination pills to improve treatment adherence are not routinely used in all countries. Such implementation gaps are most definitely generating DR-TB and have to be urgently addressed. A major reason behind poor TB control is the fact that TB is a low priority for many developing countries, and current TB budgets are insufficient to make progress in addressing DR-TB. Most National TB Programs in high burden countries are seriously under-funded, and, sadly, even emerging economies such as India are not spending enough on TB. It may be more impactful for DR-TB control to be seen as one component of a comprehensive strategy to address AMR. In this context, it may be more impactful for DR-TB control to be seen as one component of a comprehensive strategy to address AMR. Unlike TB, AMR is increasingly seen as a global health emergency and a security threat. Policy makers and donor agencies have prioritized AMR as a key issue for the global health security agenda. The door is wide open for the TB community to leverage this interest, and advocate for a well-funded, comprehensive AMR initiative that includes DR-TB as a key component. In fact, DR-TB could well be a pathfinder for successfully tackling AMR in low and middle income countries, and help make the case for greater investments. The End TB Strategy and the Global Plan to End TB offer excellent blueprints for ending the epidemic of TB, including DR-TB. It is time for the TB community to step up and make sure TB features prominently in the broader agenda to tackle AMR globally, and receives adequate funding and support. Author’s competing interests: None declared. This blog post was first published on the Huffington Post website. Published by pbidulka on July 13, 2016 at 12:18 pm under In my opinion.... 0 comments. 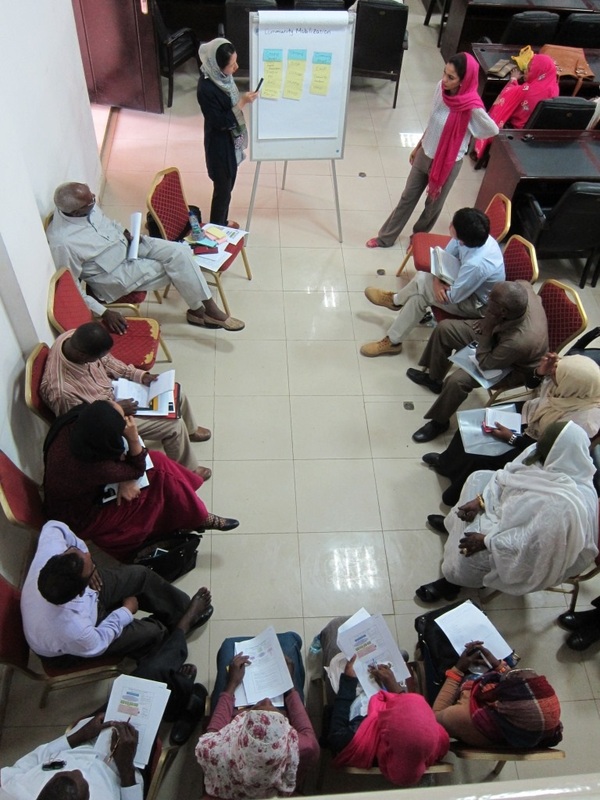 Sakiko leading a planning workshop for a health project in Sudan. One answer may be found in implementation science, which provides tools and approaches to integrate evidence into health policy and practices (De Silva & Ryan, 2016). An intervention that is found to be effective in the idealized conditions of a research setting may meet a wide range of barriers in a real world context. The exclusive focus on evidence may divert our attention from the role of culture in a specific setting. In this context, global mental health research should find an answer of not only “what works” but also “how it works” by holistically examining the behavioural, organizational, economic, socio-cultural, and political dimensions of the context where evidence is implemented. Furthermore, researchers have the important role and responsibility to share pertinent individual knowledge available with those at the organizational, community, and society levels (Landry, Amara, Pablos-Mendes, Shademani, & Gold, 2006). The exclusive focus on evidence may divert our attention from the role of culture in a specific setting. While innovative instruments for knowledge sharing still seem lacking, my past work experience in international development reminds me of the notion of “ownership.” With an understanding that the sustainability of the project outcome results from the beneficial output shared among project participants, development partners generally make great efforts to foster a sense of ownership during the project implementation. In global mental health, community-based participatory research may be one possible approach to generate ownership by addressing the unequal power distribution between researchers and community people. My initial question is still open for discussion. Meanwhile, the consideration of sustainability and ownership in global mental health research may shed light on the ethical aspects of our research process and application of knowledge. Sakiko Yamaguchi is in the 2nd year of her PhD program in Division of Social and Transcultural Psychiatry, Department of Psychiatry at McGill. After working on government projects for social development in low- and middle-income countries, including post-conflict countries (Peru, Afghanistan, Sudan), she decided to pursue her PhD to better understand the long-term impact of violent conflict on mental health, and explore how international community can respond to the unmet needs of the affected people. She is currently in Ayacucho, Peru for her research project on alcohol misuse among the Andean highland population, who is still suffering from the consequence of political violence and the daily hardships rooted in poverty and socio-economic inequality. The new McGill Global Mental Health Program was launched 30 May 2016. Like them on Facebook and learn more here. De Silva, M. J., & Ryan, G. (2016). Global mental health in 2015: 95% implementation. The Lancet Psychiatry, 3(1), 15-17. Landry, R., Amara, N., Pablos-Mendes, A., Shademani, R., & Gold, I. (2006). The knowledge-value chain: a conceptual framework for knowledge translation in health. Bulletin of the World Health Organization, 84(8), 597-602. Published by globalhealth on July 11, 2016 at 1:58 pm under In my opinion.... 0 comments.